Cavalier - app. 36" L, 21" W, and 26" H.
not home, or for a night time. would be a place for the puppy to sleep). 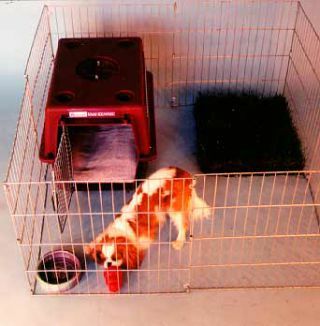 ​where the puppy can do its "business" and not to make a "mess" in the crate.